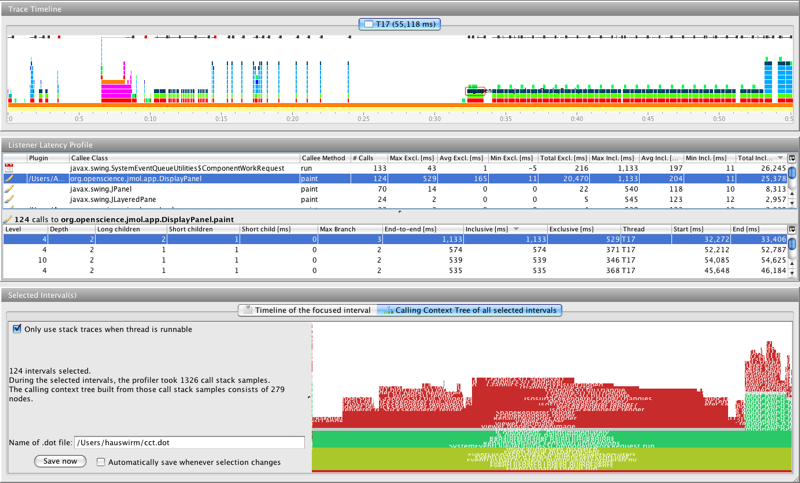 LagAlyzer is a tool that visualizes individual latency trace files produced by LagHunter. More details about how to use LagAlyzer and LagHunter is available in this tutorial . You can download LagAlyzer from our download page.